Ardbeg Galileo is our tribute, drawn from from one of Bill’s many “earthly” experiments, to our science experiment far up in the heavens on the International Space Station, where we are conducting a maturation experiment in to molecules called terpenes ( flavour compounds) drawn from our new make spirit. We were privileged to be invited to participate in this ‘world first’ by US based Space Research Company NanoRacks. The new make spirit is combined in test tubes called Mix stiks with shards of oak from our casks at Ardbeg ( only a nano half litre!) to see what the effect of near zero gravity would have on the spirit – we will then measure this against a control sample back on earth in a couple of years. Definitely NOT whisky up there but we thought we would celebrate the experiment and spread the word about what we were up to. Incidentally we do have lots of fun with names – this one came to me as I was driving to catch the ferry from Kennacraig to Islay and Ardbeg, somewhere near the famous “Rest and be Thankful” beauty spot as I was listening to a discussion on the radio about the famous Pisan astronomer Galileo Galilei.So inspiration occurs in curious places! His spirit of enqiry seemed to reflect what we are up to. When the experiment comes down in a couple of years we will publish the results, who knows it may help us with future Ardbegs! in the meantime I hope your readers enjoy the lovely fruity sooty concoction that Bill has come up with and …..watch this space! We here at EWB have decided that we like our readers so much, we are going to give away a bottle of Ardbeg Galileo completely free! All you have to do is declare your love for Ardbeg in the comment box below. Something along the lines of “I love Ardbeg as much as girls love Chris Hoban (or vice versa)” or “I love Ardbeg as much as Jason loves the company of fellow bears!”. Easy, free and tasty! 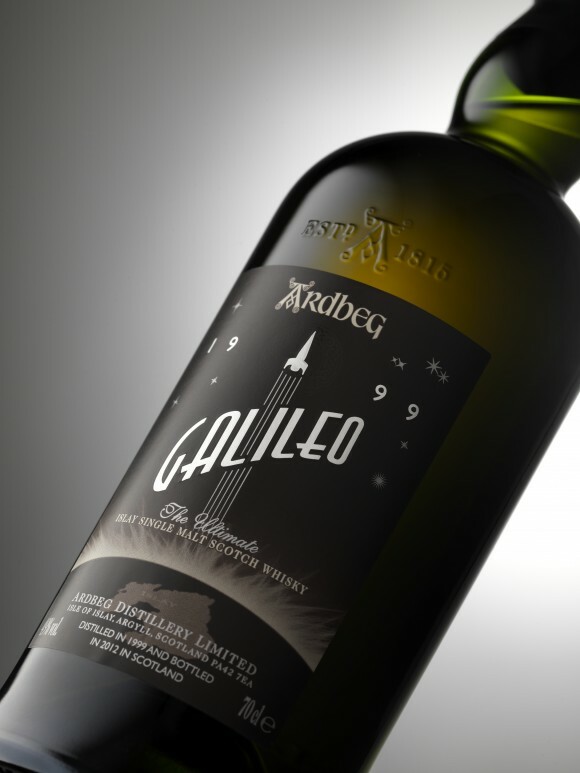 We will randomly (out of a hat or a spaceship or something) select a comment towards the end of the month and the winner will receive their very own bottle of Ardbeg Galileo! It also gets better, because over the two following months we have a bottle of Uigeadail AND a bottle of Corryvreckan to give away, so watch this space for more free Ardbeggian goodness! Nose: A wave of intense fresh and sweet aromas are what hit first. Charred toffee, pepper, mango and roast pear. Then it gets richer with yoghurt covered dried apricot, banana chips and raisins. All swirling around on top of an unmistakably sweet, sooty charcoal aroma, which seems delicate but prominent at the same time. Smooth, clean and warming. Taste: It has a big, rounded and chewy property. An initial bite but also quite smooth. More of this creamy toffee flavour, banana bread and sticky dried mango pieces. The longer you hold it on the palate the more the spiciness gets released. A smoky Toblerone chunk, speckled with spiced raisins. The standard Ardbeg peat comes through but peppered with lemon zest. Reminds me of camping and having barbecued chocolate banana in front of the fire. Finish: The continuing gentle peat is warming and sweet, acting as a base for a lingering zesty, chocolate covered almond. Long and satisfying. There we have it then. 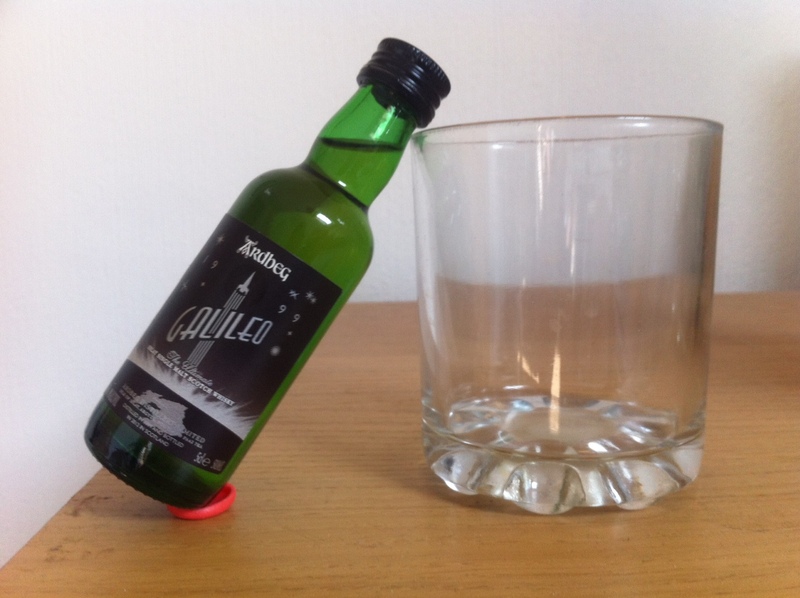 That is my thoughts on the Ardbeg Galileo and to put it simply… awesome! Not sure it will replace Uigeadail as my favourite Ardbeg but it is approaching that kind of magic and taste that Ardbeg is known to create on its top form. 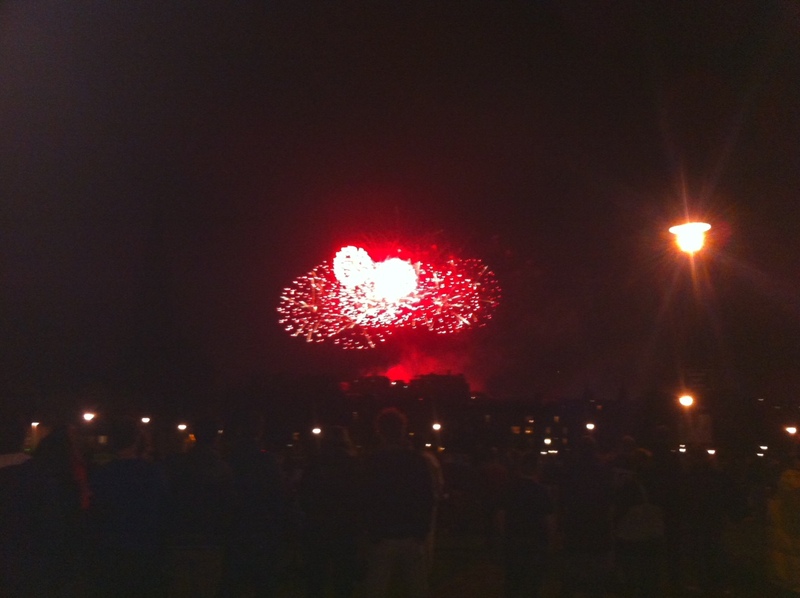 My experience in front of the Edinburgh fireworks was made completely amazing when combined with this whisky and I am sure once you guys try it, you can see just how complex yet delightful it is. Remember, we are giving you the chance to win a bottle of Ardbeg Galileo this month, just shout out some love to Ardbeg in the comment box below and we shall select one person out of a hat to receive a bottle of Ardbeg Galileo. It’s Easy: show some love, get some Ardbeg. Good luck! This entry was posted	on Monday, September 3rd, 2012 at 12:23 pm	and is filed under Reviews. You can follow any responses to this entry through the RSS 2.0 feed. Responses are currently closed, but you can trackback from your own site.